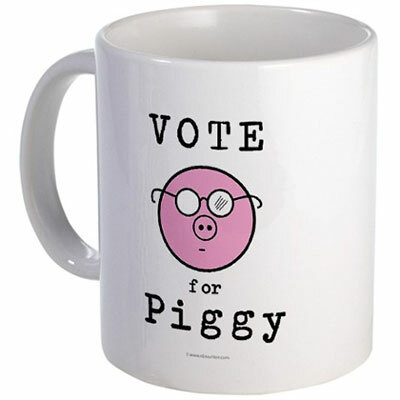 There’s nothing like curling up with a good book and a cup of tea (or coffee depending on your preference). 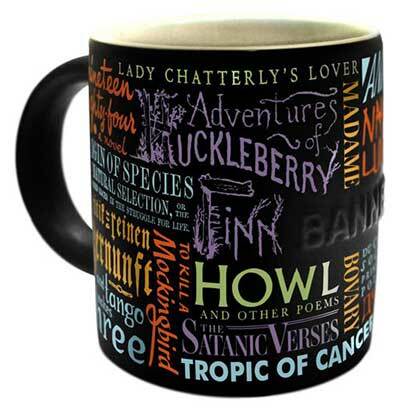 But what would make that even better is having one of these awesome literary mugs in your hand! 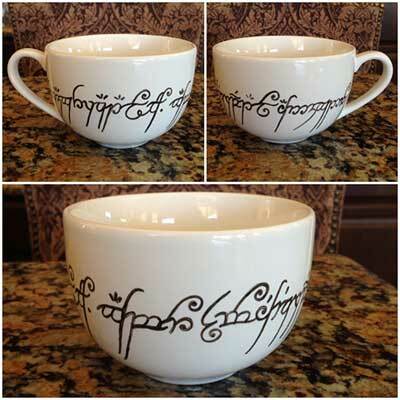 Here are ten mugs that any librarian would enjoy – can you guess what literary work, writer, or theme each represents? Answers are below the photos! Boldly displays the title of some the world’s most famous banned books, from Galileo’s Dialogo to Rushdie’s Satanic Verses and 22 titles in between. 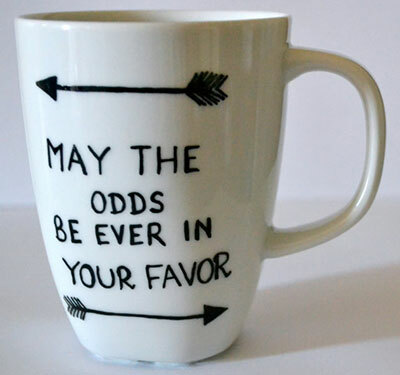 There are plenty of Hunger Games related mugs and other goodies available on Etsy! 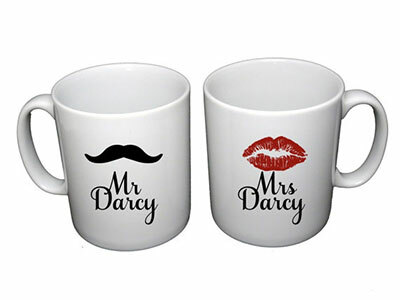 Any Jane Austen fan is sure to appreciate these and other Pride and Prejudice mugs available on Etsy! 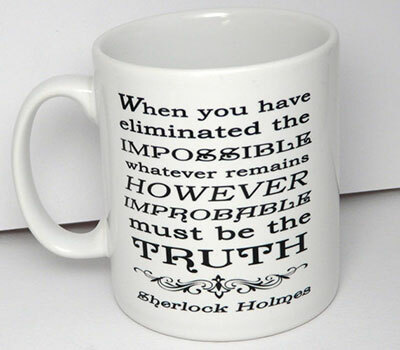 This is actually a two-sided design mug with the other side featuring a cameo of Holmes himself. 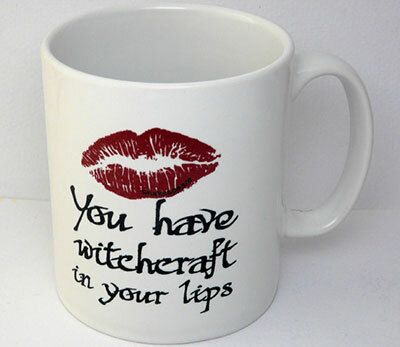 This cool mug features the quote “You have witchcraft in your lips” from Shakespeare’s Henry V. The deep red lipstick print has Shakespeare’s name written into the right hand side of the lower lip print! 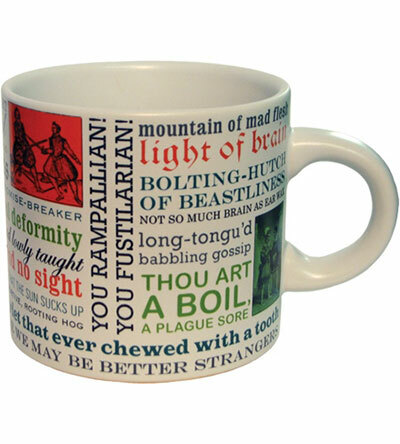 The Shakespeare Insults mug is covered with the Bard’s funniest and most biting insults from his plays. 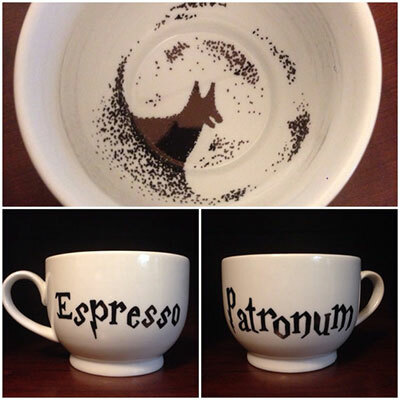 Get your patronus charge with this hand drawn cappuccino mug (18oz.) and marked with the sign of the Grim. A clever reference to one of the all-time classics. 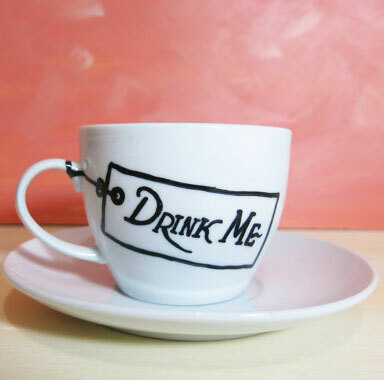 Go down the rabbit hole with this elegantly hand made cup and saucer!